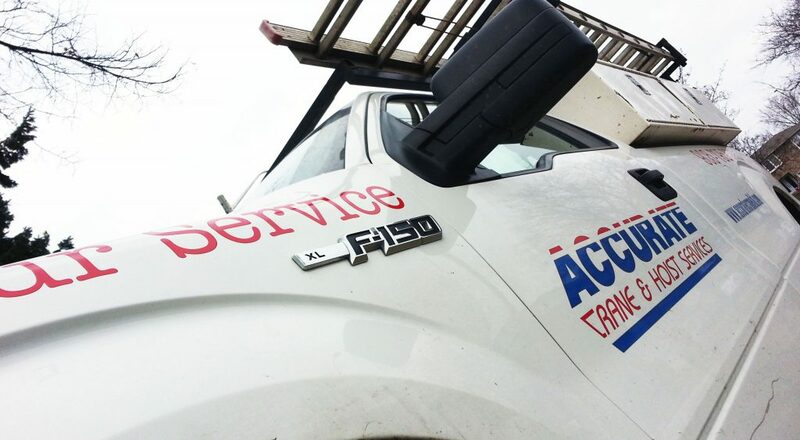 Established in 1979, Accurate Crane and Hoist Services has been providing businesses throughout Southern Ontario with the best customer service. Our experienced technicians and our knowledgeable staff are dedicated to working together to provide you with expert advice to help you create safe working conditions and increase your company’s productivity. We can provide you with a crane hoist inspection program with minimum 12 month intervals or more frequent time spans, depending on the intensity of use of your equipment. We sell and install all types of cranes, hoists, drives, monorails, runways, power supplies as well as both new and used equipment.